Nicolas Peter: "Today's investments are very important for the next generation of electric vehicles." BMW's current product and technology offensive has led to a significant rise in r&d spending. The automaker is investing heavily in electric and autonomous technology to keep pace with fast-changing demands. 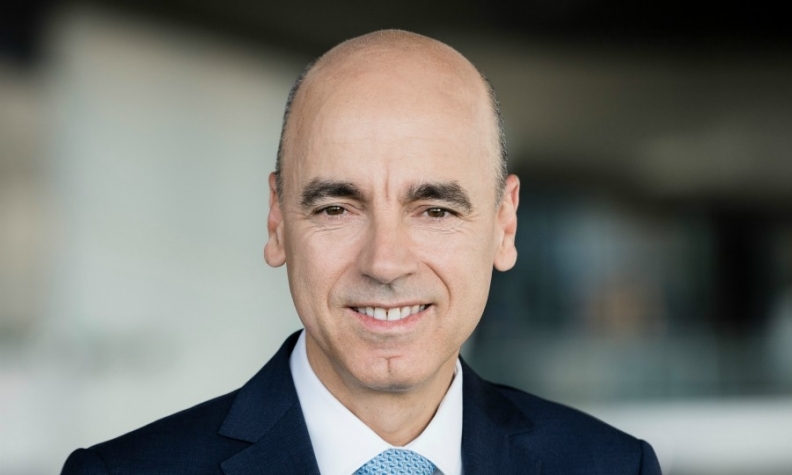 BMW finance boss Nicolas Peter is working to make sure the company has the money it needs to develop next-generation solutions while still meeting the group’s profitability goals. He spoke with Automotive News Europe Associate Publisher and Editor Luca Ciferri and Italy Correspondent Andrea Malan at the Detroit auto show last month. Did BMW Group maintain its 8 percent to 10 percent earnings target last year despite its 700 million euro increase in r&d spending during the first nine months of 2017? Yes. It was a record year from a sales perspective, with nearly 2.5 million cars sold by BMW Group. This gave us the opportunity to invest significantly in r&d. You will see the final figures in March, but there's no reason for me to change the guidance. BMW Group CEO Harald Kruger said that r&d expenses would rise this year to 6.5 percent to 7 percent of revenues, up from 6 percent in 2017, before starting to decline again. On automotive revenues of 88.5 billion euros in 2017, does that mean you will spend roughly 450 million to 900 million euros more on r&d this year? Correct. This year we will invest an additional upper-range three-digit-million-euro amount in r&d, mainly in two areas linked to the products: electrification and autonomous driving. Why will 2018 be the peak year for r&d spending? We are going to launch several electric cars starting with the Mini E in 2019, followed by the X3 in 2020 and the iNext in 2021. Today's investments are very important for the next generation of electric vehicles. We are already investing in the fifth generation of the battery technology. In 2015 BMW, Daimler and Volkswagen Group bought the digital mapping company HERE from Nokia. Robert Bosch and Continental recently announced they plan to acquire 5 percent stakes in HERE. Will this reduce BMW’s shareholding? There will be no new shares issued. Bosch and Continental will buy from the existing shareholders, who will each sell a 10 percent stake. As far as we know, there will be no impact on our profit and loss statement from this sale. Diesel sales in the EU plummeted in 2017 with Germany, the UK and France all taking hits. What do you expect in 2018? There are different developments depending on the country, but global diesel penetration decreased by about 2.5 percent last year. In Europe, the reduction was 5 percent, with the UK and Germany most affected. There have also been some markets showing an increase in Asia. As our business grew in 2017, we sold more diesel models than the year before, but our diesel penetration decreased slightly. Main Challenge: Generating enough cash to boost r&d spending by 450 million to 900 million euros this year. Are you still investing in diesel? Yes, we continue to invest in diesel technology. We expect diesel will play an important role in achieving the lower CO2 targets the EU has set for 2020 and to which we are committed. At the same time, we believe diesel penetration will decrease in smaller cars; but for models such as the X3 or X5 SUVs, diesel still makes a lot of sense. The difference is that in the future we’ll have fewer engine variants. This will reduce the complexity of the business. Talking about reducing complexity, can you mention other examples of simplification besides diesel? In the U.S., for example, I see opportunities to reduce the number of variants within the product offering. Our team is working on this with the U.S. dealers. In the past, every dealer was able to configure his own car. In the future, we'll use digital analysis to find out which combinations of options our customers prefer most. As a result, more packages will be put together. Your CEO has said BMW should be able to cover the cost of adding new technology to future models through "increased performance and efficiency gains." What does that mean? As for performance, we intend to increase our presence in segments that offer the highest average contribution margin, such as the newly launched X2 or the X7 that will come soon. Efficiency also includes streamlining our product lines. So, increased performance is mainly a matter of product mix? Mix and volume, as we’ll continue to grow. We have to be ambitious.